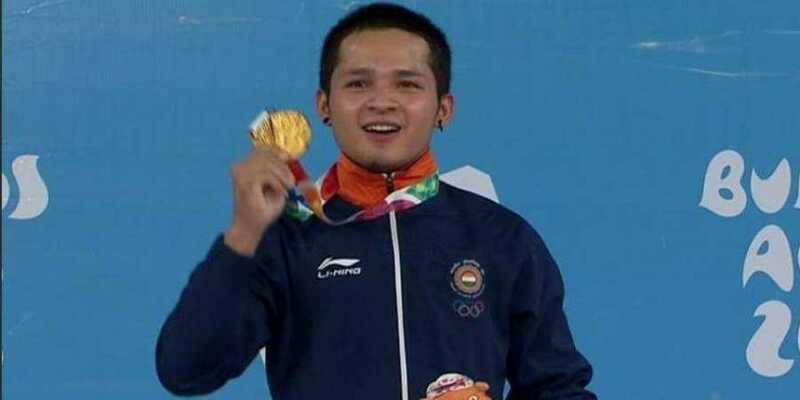 BUENOS AIRES: Weightlifter Jeremy Lalrinnunga scripted history by winning India’s maiden gold medal at the Youth Olympics, claiming the top honours in the men’s 62kg category here. The 15-year-old from Aizwal , who is also a world youth silver-medallist, lifted a total of 274kg (124kg +150kg) to finish on top in the Argentine capital on Monday night. The silver medal went to Turkey’s Toptas Caner, who lifted 263 kg (122kg+141kg), while Colombia’s Villar Estiven Jose took the bronze with an effort of 260 kg (115kg+143kg). The Mizo sensation, who will turn 16 on October 26, is being touted as the next big thing in Indian weightlifting. His maiden gold also means that India are set to record their best ever performance at the Youth Olympics. The country has already won four medals with Tushar Mane and Mehuli Ghosh bagging a silver each in 10m rifle shooting while Thangjam Tababi Devi won India’s first medal in judo by finishing second in the 44kg category. India won just two medals — a silver and a bronze — in the last Youth Olympics in 2014 in Nanjing in China. In the inaugural 2010 edition in Singapore, the nation fetched six silver and a couple of bronze medals. While Lalrinnunga made the nation proud, weightlifter Sneha Soren could not finish on the podium in the women’s 48kg category, signing off fifth. In other events, Archana Kamath and Manav Thakkar, India’s representatives in table tennis, won their singles matches of the group stage. Kamath beat Malaysia’s Javen Choong 4-2 while Thakkar defeated Slovakia’s Aleksandra Vovk 4-1.